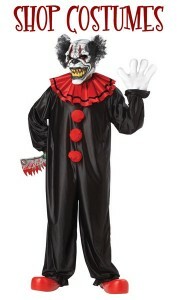 This clown look is a little more Twisty than Pennywise but I’m sure both notorious killer clowns would love to put on a show with her. 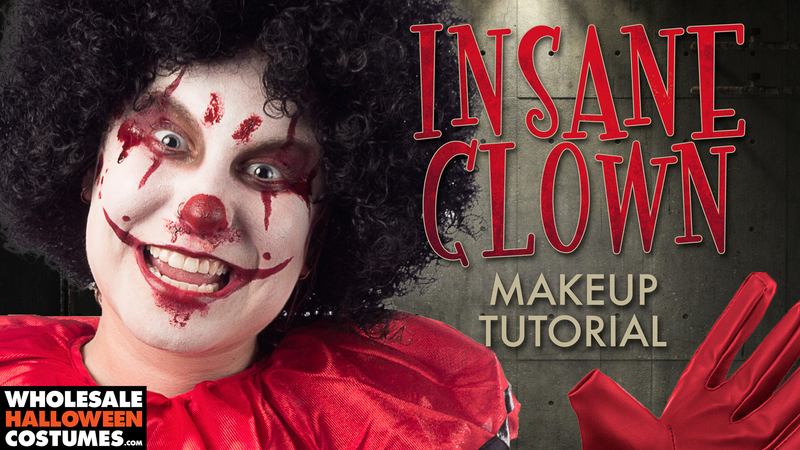 So come one, come all to this scary clown makeup tutorial to make your skin crawl. 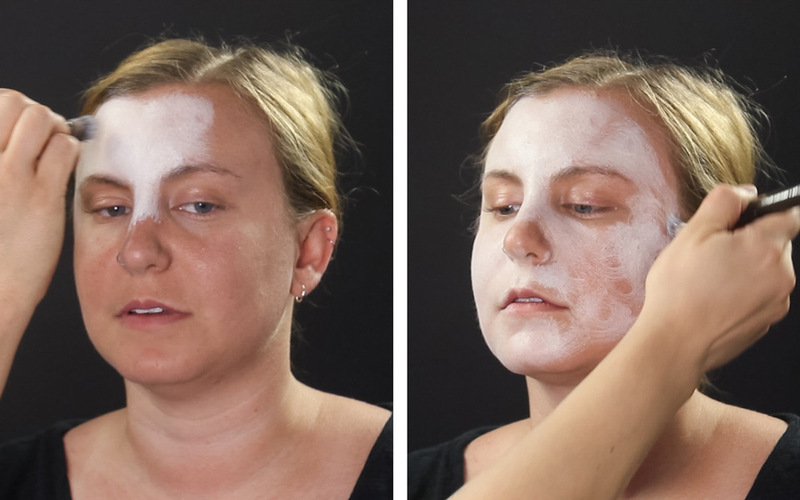 Start by covering the entire face with white. Add brown mixed with some black to fill the inner eye crease. Blend under the brow and below the eye. 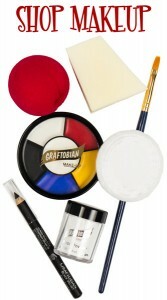 Cover the outer edges of the upper and lower lids with maroon and blend with the brown. Using maroon makeup and a thin brush add details around the eye. Paint a bright red nose. Keep it messy for added creepiness. Map out a wide grin with the same red makeup. 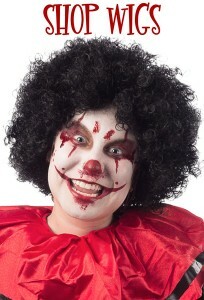 Use fake blood to add messy details around the face- as much or as little as you wish. Share the insanity with #WHCdoesSFX.